A sewing machine is a great thing to invest in for a few different reasons, even if you are an expat like me. Maybe you are someone who has always been either too small or too big for your clothes and you already know the struggle of paying someone to alter your clothes for you. These people who are specialized in altering your clothes often end up charging a whole of money that is not even worth it one bit. Well, the good news is that you no longer have to waste your money just to have someone else do the alterations for you as you can learn to do them yourself. Or maybe you just want to make your own trendy clothes. Or, maybe (like me) you find the clothes in shops too expensive. Well, you can remedy all those problems with a sewing machine. You can find plenty of sewing machines for beginners that are easy to use and low priced. Personally, I’m glad I got one and I’d never used one before. A lot of times people believe that there is no way they can learn to sew on their own. Well, that does not have to be the case anymore. With the rise of the internet and digital media one can learn how to sew in just a couple videos they watch online and read a couple blogs to help you get started. There are so many vlogs and videos of tutorials that are teaching new beginners how to sew. The videos are well thought out and can really be a huge helping hand for someone who is just starting off and is wanting to learn step by step. Back in the day understanding and learning how to use the machine took some time. However, the sewing machine itself is very smart now. It has a ton of features and options that you can choose from to make your work ten times easier as well as faster. For instance,e if you are going to be sewing jeans, you will obviously need to use a much different type of sewing technique than if you were sewing silk. However, the machine has the features to make the shifts for you, so you do not have to worry too much about it. Another great reason to invest in a sewing machine is the fact that it is a great hobby to have. it is so simple to use and is very easily able to become a hobby. You can do it on your down time or when you want to do something that will be stress-free. People find that sewing helps them take their mind off the issues and problems they have of the day and is a great way to get rid os the stress they have on their minds. A sewing machine can be bought both in stores as well as online if you like. If you’re in France like me, then I suggest using the store locator on the Brother France page. You should read a couple reviews before you end up making a choice. These machines come in a lot of different brands, so you might want to look out for that, possibly even ask your friends and family members what sewing machines they use and which ones they like, so that it easier for you to make your final choice. 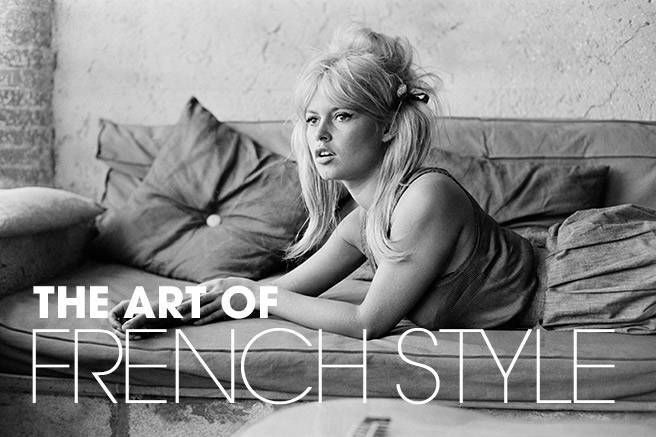 When it comes to looking fantastic, the French women are known to be among the most beautiful in the world. I knew that before I moved here, but now I see it in action every single day. These women know how to eat right and get the activity that they need without feeling as though it is a burden. This is because beauty is an integral part of the culture including art and nature. This is why the rest of the world looks to the beauty trends in France. In many other nations, women struggle to cover up who they are and to try to transform into some ideal that they have in their minds. Since this is virtually impossible to attain, women are depressed and continually berate themselves in their inner self talk and often even in discussions with others. However, you do not have to fight with your natural appearance in order to embrace the latest in fashion and makeup. As someone who has always hated her straight hair, I really needed a dose of this. Part of the philosophy that many French women believe is that they can work with their natural features to create their own unique look. This is in sharp contrast to the tutorials and information that is rampant in the states about covering up or even surgically altering a body part because it does not meet some expectation. When it is time for fashion designers to show off their latest creations, France is a popular choice for finding a venue. Paris, in particular, is a hot spot on the globe for finding the most trendy and attractive clothes on the market at any time of the year. Of course, you do not have to have loads of cash and the ability to travel to France to see and take advantage of the latest trends. You can use the Internet to see what is going on in the beautiful European country and decide how you want to incorporate the latest trends in your own appearance. From wearing the right shoes to having flawless makeup, you can embrace the philosophy of thinking that you are gorgeous no matter what you wear. It is most important that you feel good on the inside. Follow the trends that fit most comfortably with your lifestyle and the current selection in your wardrobe. Don’t forget to keep in mind that you want what will look and feel fantastic on your body and do not waste your time trying to look like someone other than yourself! Got Straight Hair Care Problems in France? I’ve Got Tips! I have straight hair and pretty much every day I wish that I had thick, curly hair. This becomes even more of a desire during these cold winter months when the heating makes static electricity a problem. And with the French culture being so image conscious, I am always worrying about how my hair looks when I go out. Do you have straight hair? If you do, then you will want to keep a few tips in mind. With that said, continue to read on for a few tips in my straight hair care guide that you can use. 1. Huile de Leonor Greyl – This has become my FAVORITE hair care product that I’ve found in all of France. If you come to Paris, go to the Galeries Lafayette and head directly for the beauty floor. You’ll find the counter for Leonor Greyl amongst other brands that you recognize (like Lancôme and Chanel). This stuff is designed to be either a pre-shampoo, an overnight conditioning treatment, or something to tame frizzy hair. I find that it works wonders on that static electricity charged hair that I get in the winter. 2. Use The Right Shampoo– It’s important to use the right shampoo, as well as shampoo properly because this will help maintain healthy hair. There are many types of shampoos out there, but you should choose a mild shampoo. Some shampoos are designed to help give your hair a shiny and silky look and feel, and if you have straight hair, then those are the types of shampoos you should use. Don’t buy cheap shampoo either, because the higher-quality ones will likely work better and will leave your hair looking much healthier and shiner, as well as silkier. 3. 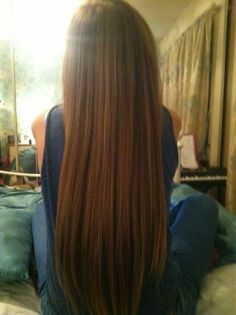 Trim Hair Often– People with straight hair often have to deal with split ends, but there is an easy way to deal with this problem. All you have to do is trim your hair often. Don’t worry because you don’t have to do it every single day, but doing it at least once per weeks should be enough. If your hair grows very fast and you are prone to getting split ends, then you should trim your hair at least twice per week, as this should be enough to keep split ends at bay. 4. Blow Dry Hair Upside Down– If you have straight hair, then you want to get to the roots when you blow dry because this will help give your hair a little bit of a lift. What you want to do is flip your head over and then start blow drying your hair. If you want to to give your hair more volume, then you should use a quality mousse product or a shampoo that is designed to add volume to your hair. 5. Stay Away From Too Many Products– If you have straight hair, then you want to keep your hair as healthy as possible, and this means you shouldn’t use too many products, nor should you use products on a regular basis because using too many products can lead to your hair becoming damage. Stick with a shampoo, conditioner and maybe a mousse, but don’t overdo things by using hairspray daily, on top of gels, mousse and other products that are designed for your hair. Also, choose products that nourish your hair and contains nutrients that are good for your hair, so don’t just choose any old shampoo, and choose one that is known for helping people maintain healthy hair. As you can see, there are a lot of things you can to care for your straight hair. Having straight hair requires proper care, and the above tips and advice are some of the most common things you can do for your hair. Keep in mind that there are many other things you can do to care for your hair, but the above ways are some of the most common. If you are visiting France or live there you should make a plan to see the Christmas markets. They are lovely and you don’t want to miss them. They offer a lot of great shopping and a great tradition to start around Christmas time. When you are trying to decide on which Christmas markets to go to, think about what you want to experience and look up information about your different choices. You can find out about them online and see which one would be best. Some are bigger than others and it just depends on the location and what they have to offer. Some people like to go to several in one day. That allows them to experience the markets without having to just go with one of them. It can make for a long day but it is a nice way to spend some time before Christmas. At the markets, you can do some shopping and eat some good food. You can also find things to drink that will keep you warm while you are walking around. There is a lot to see and you will want to visit all the different parts of the market. You can decide to go to the markets with your family which would be nice. You could meet up at the market or travel there together. After the market, you could have nice dinner together and discuss your Christmas plans. If you are up for traveling you could make a plan to visit as many markets as you can over a set amount of time. Plan your trip and check and see how many you would want to visit along the way. You could start in Paris and go from there if you want a great place to start your journey. Take a lot of photos when you are there so you can remember the different Christmas markets. That way you will know which ones to visit if you ever get a chance to return to the area around Christmas time. You can also share photos with your friends and family after you return home. If you plan to see the Christmas markets in France, you will be glad that you did. They are great to be a part of and you must see them if you visit the country during that time of year. Finding cool gift ideas for a Francophile girl is very easy. Many people associate Paris with love, so everything in this category would make an awesome gift. 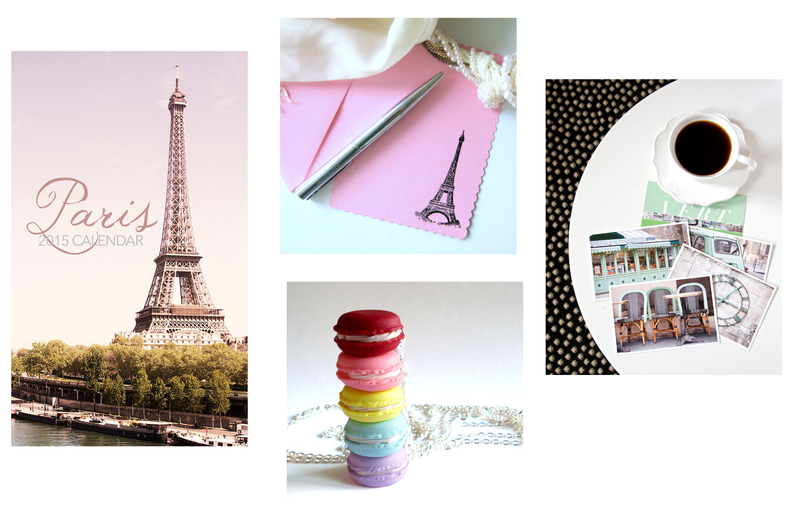 A trip to Paris would be the best possible gift for your Francophile girlfriend. You can imagine the joy and excitement she’s going to feel when you are going to hand her the trip vouchers. She’s going to adore you, that’s for sure. Besides, if you go together on this trip, you can have an unforgettable time, as Paris is the most romantic city in the world. You could kiss her nearby the Eiffel Tower or in front of the Versailles castle. You could invite her to a romantic dinner in one of the fancy restaurants in Place de Clichy. You could go to Disneyland together. However, you need a lot of money to be able to offer such gifts to your girlfriend. If you are on a shoestring budget, you have to think about other gifts a Francophile would like. A nice box of macarons, the delightful French cookies, could be a good idea. Choose some that are a little more expensive than regular cakes, in order to make sure they are made from good quality ingredients. People who love French culture appreciate the traditional music of this country. You can offer your friend the albums of some famous French musicians. Edith Piaf, Joe Dassin, Charles Trenet or Charles Aznavour are only a few big names that became famous all over the world. You can’t go wrong with such a gift. There’s also my favorite hair care product in France. If you live in a big city, chances are you can find a few good French restaurants in your neighborhood or in the city center. Take your girlfriend to a dinner in one of these restaurants, so that she can enjoy the French cuisine without having to travel to France. This is not the cheapest gift you can find, but it can have a great effect on the girl. Be prepared to order a bottle of Champagne and don’t forget to ask the waiters to decorate your table with red candles and some fresh flowers. There are lots of France-related gift ideas. Depending on your budget, you can go for the ultimate experience of a trip to the City of Lights or you can limit yourself to a box of cookies or to a t-shirt embroidered with the Eiffel Tower or with another symbol of France. All that matters is that you pay attention to the person you want to offer the gift to, and choose something she would enjoy. If you already know she intends to study French, you can offer her a French class subscription or some books. Either way, she’s going to be happy to receive such useful gifts. It’s your choice whether to go for something romantic or for something useful, but you should guide yourself by the preferences of the girl you love. After all, it can be really nice to be in a relationship with a Francophile. When I first got to Paris, I was completely overwhelmed when it came to getting around on my own. I was so used to driving myself. And the Metro system was confusing for me at first! But if you’re coming here to visit, then my tips might help you out. For the millions of visitors to Paris there are a number of public transportation options. The Metro and bus services allow access to the city’s cultural and historic attractions. So how does one get around Paris at the height of the Tourist season – here are some some guidelines to getting around the City of Light. The Metro is the way that most visitors to Paris can access the numerous attractions in the city. Similar to underground train networks in other leading cities the Metro is a fast and easy option. I use it all the time to head out to get my favorite hair care products, visit Christmas markets, go shopping for gifts, and more. Visitors to the city can take any one of the 16 lines to anywhere in the city. For those familiar with underground railway systems anywhere in the world the Paris Metro will seem familiar. Get your bearings using the map systems that are available at each stop and you will be able to plot your journey with the minimum of fuss and bother.Switch over and change trains at terminus stations and you will be swiftly conveyed to the stop closest to the attraction you wish to visit. For those in doubt simply visit one of the friendly information kiosks and the staff will give you easy to follow instructions. For international visitors the Paris Visite Card is one of the easiest ways to explore this wonderful city. It will allow the visitor unlimited access to Metro and in some cases the bus service and will cost them a fraction of what it would cost to buy individual tickets. You can buy these Paris Visite Card’s at Metro stations as well as tourist information offices. Often there are special offers for entrance to some of the more popular Paris attractions attached to the purchase of these cards. The Paris bus service is one of the most efficient in the world. For those who want to take in the many cultural and historic attractions of the city the bus service is the way to go. Note that buying a ‘t+” ticket which you will receive if you buy a carnet in a Metro station will not allow you unlimited access to the city. With this pass you will only be allowed 90 minutes of unlimited transfers between buses. You might be better served to consult your travel agent for unlimited transfer options. The Paris tourism office will also be able to provide other options. Of course there are several specialized tour buses that will offer packages that allow the visitor to enjoy the City of Light – and these will include fabulous tour guides and entrance to some of the city’s wonderful attractions. I know that some of you are jealous about my French food adventures. You wish that you could be eating it too. Well, you can find local restaurants that serve it if you want. If so, you are going to want to find the best French cuisine that you can. The good news is that there are plenty of resources that you can use in order to find the best cuisine on the market. In this article, we will go over some of the top resources that you can use to find the best French cuisine. Yelp is easily one of the best websites to go to when you are in search for finding the top specialty cuisines. This is because they have the ability to filter reviews by cuisine type. This will allow you to see which French cuisine restaurant has the best overall rating and reviews. By doing this, you are going to be able to really narrow down your options in regards to which restaurant you should try. This will also help you figure out what dishes you should try and order when you do end up going to the restaurant in question. Yelp is a great resource that everyone should use for finding the top restaurants in any specific area. If you are traveling and you want to find the best restaurants, the best resource to use is Trip Advisor. This is easily the best resource to use when you are traveling because you are going to be able to find the top rated restaurants in the entire area that you are traveling. This will help you avoid going to a bad restaurant and it will allow you to find the hidden gems that only locals typically would know about. This will end up making your entire trip much more rewarding because you are going to get to go and enjoy some of the best restaurants in your respective locale. As you can see, there are two top resources that you can effectively use to find the best possible French cuisine restaurants in your immediate area. Be sure to use both of the resources above for the best results in finding the top restaurants in the area. You can also use Google reviews to find out more information about any respective restaurant which should give you even more resources on finding the top ones in the area. Google is great because everyone uses it. Are you going to be going to Paris, France? If you are, then you will want to keep a few tips in mind. Below are a few Paris travel tips that you will want to take into consideration. 1. Rent A Bicycle- One of the easiest ways to get around Paris is via bicycle and best of all, you don’t even need to buy one. There are quite a few places that rent bicycles. You will be able to maximize your experience in Paris if you decide to rent a bicycle, so make sure you do it. 2. Visit The Eiffel Tower- The truth is that no trip to Paris would be complete without a visit to the Eiffel Tower. It is worth mentioning that until midnight, the Eiffel Tower lights up and it looks amazing. You can even go inside the tower and make your way up to the top, where you can enjoy some of the most gorgeous views of the city. 3. Take A River Cruise- If you want to have a unique experience in Paris, then you will have to do a river cruise. A river cruise will allow you to sit back, relax and enjoy the sights of the city, all from the comfort of a cruise boat. However, you should book a river cruise as soon as possible because some of them do fill up really fast, so you want to book ahead of time in order to secure your spot on the boat. 4. Compare Travel Sites For Plane Tickets- If you have not booked your trip to Paris yet, then you should compare as many travel sites for plane tickets, as this will help you find the best ticket prices. There are so many different travel sites that allow you to find plane tickets, and this is why you should use at least 3-5 of them. Also, use the most reputable and popular sites, as they tend to be able to find you the best prices for plane tickets. Those are just a few helpful travel tips you can keep in mind. If you take those Paris travel tips into consideration, then you can make your trip to Paris even better, and you could save yourself some money. With that said, you should have a look around different travel sites and find out which one can offer you the best prices for plane tickets, and then you can book your flight to Paris as soon as possible. Moving abroad is exciting and it is an adventure, but sometimes people just move on a whim and they are not prepared for the move. There are a few tips that can help you out if you plan on moving abroad. If you want to find out what these tips are, then continue to read the rest of this article. 1. Get The Proper Visa- It doesn’t matter where you are moving to, the chances are you need a proper visa. You will want to check with the country’s immigration department and find out what your visa options are. The last thing you want to do is to move to another country and not have the right visa. 2. Use Reputable Real Estate Sites- There are plenty of reputable real estate websites that specialize in finding places abroad for people. As a rule of thumb, it is a good idea to use 3-4 different sites to find places to buy and rent. This will increase your chances of finding the best place for the best price. 3. Use A Shipping Company- If you are going to be moving abroad, then chances are you will not be able to pack your large belongings and bring every single item you own. Pack what you can, and then look into hiring an international courier or shipping company. Make sure you compare a few shipping companies before you hire one, as this will help you find the most affordable and reliable company. 4. Find A Bank As Soon As Possible- As soon as you move abroad, you will want to find a bank to use as soon as possible. Don’t just choose any old book, and research various banks in the area to find out which ones are the best and then compare these banks. Also, it is a good idea to read reviews about banks in the area you have moved to because this will give you an idea of what some customers or past customers think about these banks. When you find a good bank to do business with, then simply open a bank account and then you can start banking with them. As you can see, there are a number of things you should do if you are going to move overseas. The above tips should help you out. With that said, make sure you take them into consideration and you should be just fine. If you are interested in uprooting yourself (and maybe your family, if you’re not single) and moving from the United States to France, then getting there is one of the things that should be near the top of your “To Do” list. Since there is an ocean between the USA and France, you are kind of limited in your transportation options. You can either fly or arrive by boat. Now, the boat option isn’t a bad choice if you enjoy cruises or just want to take in a few cool locations on the way. You can often find cruises that leave from Miami and sail to the coast of Spain and France. And since the cruise tickets are one-way, you will be all set. Of course, taking a cruise to France from the USA is not usually the cheapest option. For those who are on a budget, your best bet is to book a flight from the East Coast. Usually the airports in New York City and Boston have the lowest priced deals, but sometimes you can find them out of Philly, DC and Miami. When it comes to the cheapest airline for those fares to France, definitely go with Norwegian Air. Right now they have the best prices to Europe. In fact, that is how I got to Europe. I opted to land in Oslo and do a little exploring there for a few days before booking another cheap Norwegian flight into Paris. Once there, I was able to just take the trains, which is a very nice way to travel. Another thing that I want to mention is that the lowest prices on airfare to Europe are often during the off-season or off-peak times of the year. The high season is summer, which means that January through April are cheapest along with September through November. Sometimes you can even get a one-way ticket for around $200 USD!! And remember, if it is cheaper for you to book a round-trip ticket than a one-way ticket, go ahead and do that cause it doesn’t really matter if you complete the other leg of the trip. So, if you want to get to that new expat home in France, it looks like booking a flight on Norwegian Air is going to be your most budget friendly option. And the best part is that all that money you save on transportation can be spent on those delicious French pastries once you arrive! Hi there! I'm Alexis and I moved from Seattle to Paris, France in 2014 to pursue my dream of living in France. It's been quite the adventure - lots of fun and a few moments of stress and tears. But I love it here and am so glad that I took the plunge. Hope you enjoy hearing about my adventures in France!